505 Games and Eko Software announced to that the zombie co-op survival game, How to Survive 2, is out now on PlayStation 4. Players find themselves in a zombie-filled Louisana set 15 years after the events of the original How to Survive. You have to work with other survivors and scavenge for resources to craft tools, weapons, and build a base. There’s an online camp system where up to 16 players can join your camp and contribute to its development. Each character can be customized with the improved character editor. The game itself will have you explore randomly generated areas where you can pick up quests from NPCs and take out zombies with your apocalypse buddies to work towards building an awesome base camp. Multiplayer: Invite up to 16 players to access your camp and 4 of you can play together simultaneously. Randomized environments: From the unforgiving bayous of the Mississippi Delta to the abandoned streets of New Orleans’ French Quarter. Character customization: Customize your own looks and learn new and different skills to specialize as you level up and equip with scavenged and handcrafted armor, tools and weapons. Survival: If the hordes of undead humans and animals don’t kill you, thirst or exhaustion will. Crafting: New deeper crafting system will allow you to use items and materials to create hundreds of items, tools, and weapons to upgrade your character and your base camp. Camp building: Secure your shelter choosing from a wide upgradeable variety of traps, barricades, obstacles and workshops that will unlock new recipes and allow you to create more materials and items. 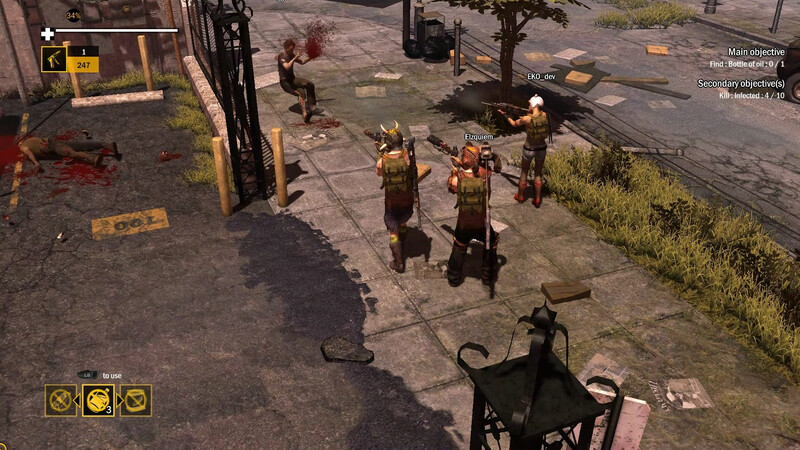 How to Survive 2 is out now on PlayStation 4 and PC. It’s also coming to Xbox One on February 13th.